Across the country during Remembrance Day events, Canadians were stopping to reflect on the sacrifices of wars past and modern-day conflicts coming to an end. Across the country during Remembrance Day events, Canadians were stopping today to reflect on the sacrifices of wars past and modern-day conflicts coming to an end. Prime Minister Stephen Harper and his wife, Laureen, arrived at the National War Memorial in Ottawa shortly before 11 a.m. ET, followed by the Silver Cross Mother, Niki ​Psiharis, and Gov. Gen. David Johnston and his wife, Sharon, to take part in the ceremony, which began with two minutes of silence. The quiet was broken by the slow tolling of the Peace Tower bells marking the hour, then a piper's skirled lament. A 21-gun artillery salute boomed out and two CF-18 fighter jets and a pair of training aircraft roared overhead in a flypast. Sharon Johnston placed the first wreath at the war memorial, followed by Psiharis, and then Stephen and Laureen Harper. They were followed by the placing of scores of other wreaths from a variety of Canadians. Psiharis, of Laval, Que., lost her son, Sgt. Chris Karigiannis, when an improvised explosive device (IED) hit his vehicle west of Kandahar City on June 20, 2007. In an interview on CBC News Network, she told Heather Hiscox: "I am very proud to be chosen to do this today, to honour everyone who lost their lives and to represent their mothers." She said she wanted people "to feel proud of all the mothers, as we are proud of them." Psiharis’s other sons, Peter and Spiro, also attended the Ottawa ceremony. Her husband, Anastasios Karigiannis, died of cancer in 1990, the Canadian Legion said. 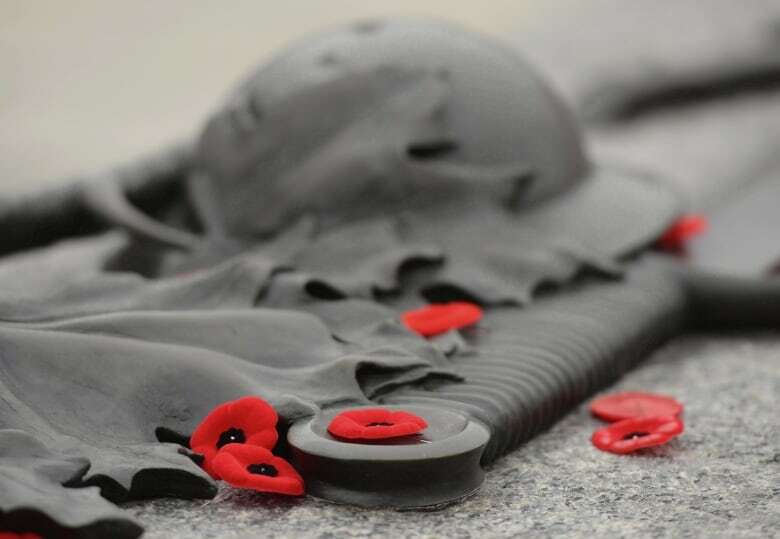 The annual Remembrance Day ceremony at the National War Memorial has added significance this year, because Canadian soldiers have begun arriving home from Afghanistan. "Originally, it was a way for the country to come to grips with just extraordinary grief that settled over Canada after the First World War, and it was to remember the so many soldiers who died and those who had served with them," former correspondent Brian Stewart told the CBC's Peter Mansbridge on Monday in Ottawa. "It was a trust for the country, to live up for the valour of those soldiers and to the great virtues that they showed off, and of camaraderie, friendship, patriotism in the field." In recent years, it has become more a matter of education, Stewart suggested, and younger people are coming in greater numbers. A mission in Kabul to train Afghan soldiers, following five years of combat in Kandahar, is drawing to a close in March, and all boots are expected to be out of the war-ravaged country by summer. Speaking to the CBC in a video clip from Kabul, Col. Lee Hammond, who is deputy commander of the Canadian training mission there, said he and his soldiers wanted to thank Canadians for their support. "We are remembering the 158 Canadians who made the ultimate sacrifice in Afghanistan," he said. In its recent throne speech, the Harper government promised to rededicate the national memorial, within sight of Parliament Hill, to the memory of all men and women who fought for the country in every conflict. Harper will take a journey back in time to Crysler's Farm, in nearby Morrisburg, Ont., later Monday. The region was the scene of a pivotal battle in the War of 1812, during which an American campaign through the St. Lawrence River valley was stopped cold by British, Canadian and aboriginal forces. During the First World War, roughly 68,000 Canadians were killed in four years. The Second World War claimed a further 47,000 Canadian lives between 1939 and 1945. The United Nations-led Korean War in the 1950s saw 516 die. An additional 1,800 Canadians have died either on UN peacekeeping missions, in Cold War training exercises — or in Afghanistan. There were 158 soldiers killed in that conflict. In the United States, a similar federal holiday known as Veterans Day is observed Nov. 11. While the day marks the 11th hour of the 11th day of the 11th month in 1918, when the armistice that ended the First World War was declared, it is also treated as a day to honour all veterans of foreign wars. As in Canada, however, much of the country's business continues as usual. Stock markets in both countries are open Monday. 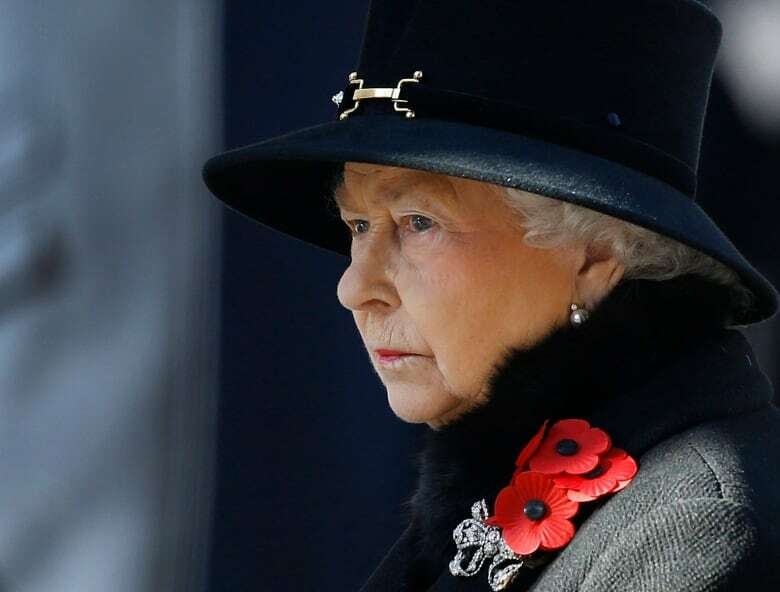 In the United Kingdom, remembrance ceremonies were also held on Sunday.